Potassium For Pastures More on this topic. Australian research has shown increases in both pasture and livestock production with potassium fertilisation, often associated with an improvement in the legume component of mixed pastures. On duplex soils in coastal NSW, annual applications of potassium fertiliser have improved the liveweight (LW) gain of weaner steers on mixed pastures (see table). This response was reliant upon seasonal conditions which allowed clover in the pastures to regenerate. 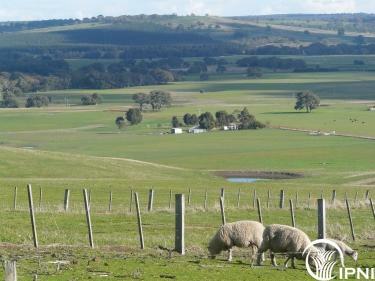 In Western Australia on a low potassium site, potassium increased production of a mixed pasture. Where stocking rates were adjusted in accordance with improved pasture growth, wool production per hectare increased (see graph).